Overlooking the Atlantic Ocean, a 2 minutes walk from Miami Beach. Each room has a TV, air conditioning and cable channels. Featuring a bath or shower, private bathroom also comes with a hairdryer and bathrobes. 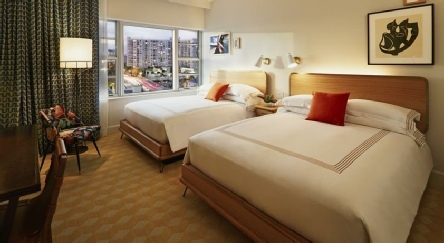 At The Confidante Miami Beach you will find a fitness centre, an outdoor pool and a restaurant. An oceanfront oasis, The Confidante Miami Beach (formerly the Thompson Miami Beach,) was voted as the No.1 hotel in Miami by readers of Condé Nast Traveller in October 2015. Its vibrant bohemian-beach chic hotel style reintroduces 1950’s Miami Beach glamour inside masterfully restored Art Deco buildings. 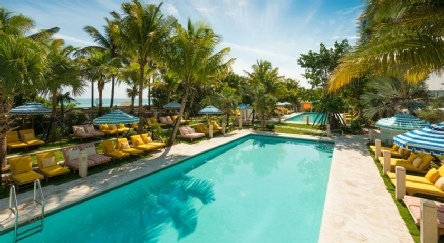 2019 package holidays to the Confidante Miami Beach, Miami Prices are per person based on two sharing, including flights and accommodation (plus transfers in Caribbean destinations), and are subject to availability. Flights from Heathrow - other departures also available, call for details.